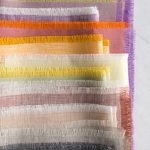 Like an object of scientific study, as you pull threads for fringe, the fabric’s structure slowly reveals itself. 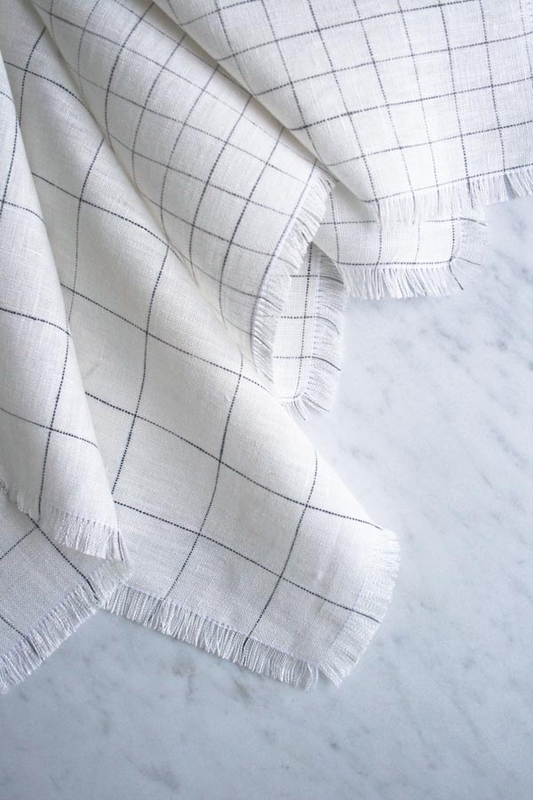 And making Fringed Napkins in Purl Soho’s new yarn-dyed Linen Grid is an especially fascinating study, one that unravels a world of subtle and exquisite design details. 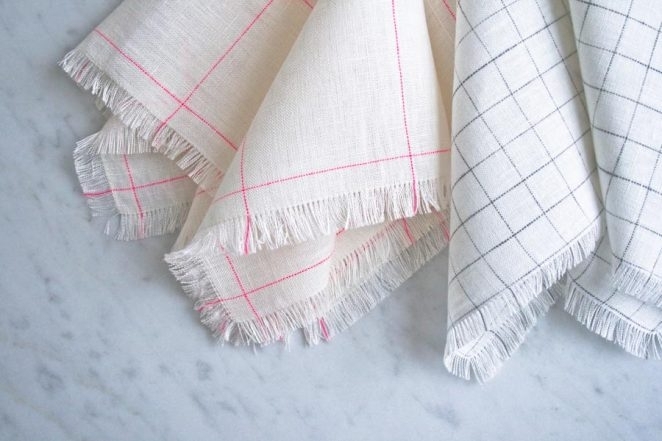 As you pull Linen Grid’s threads, you’ll notice that each colored stripe of this fabric’s eponymous grid appears in the fringe as a single bright thread. Beautiful, yes, but what does it mean? 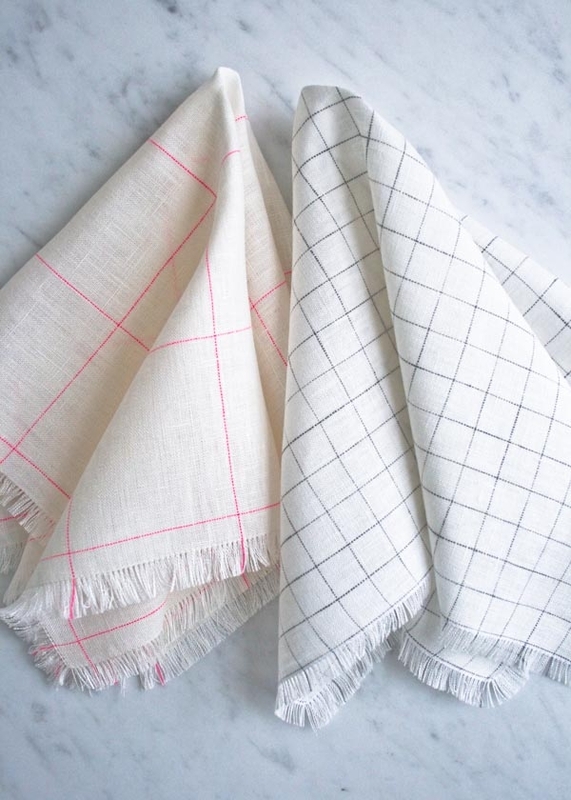 It means that each colored thread has been meticulously woven into the white linen, rather than printed on top, which means that the grid appears on both the right and wrong sides of the material and that it will never wash or rub off. 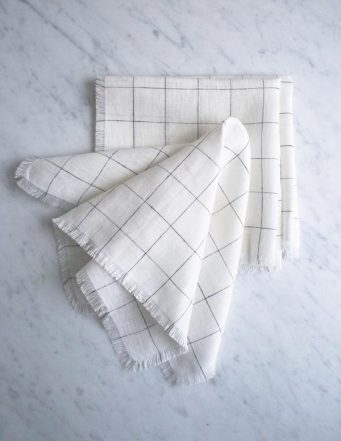 It means that Linen Grid is not only lovely; it’s also impeccable. 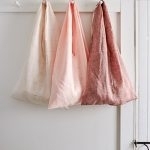 Research and analysis done, let’s sew some napkins! 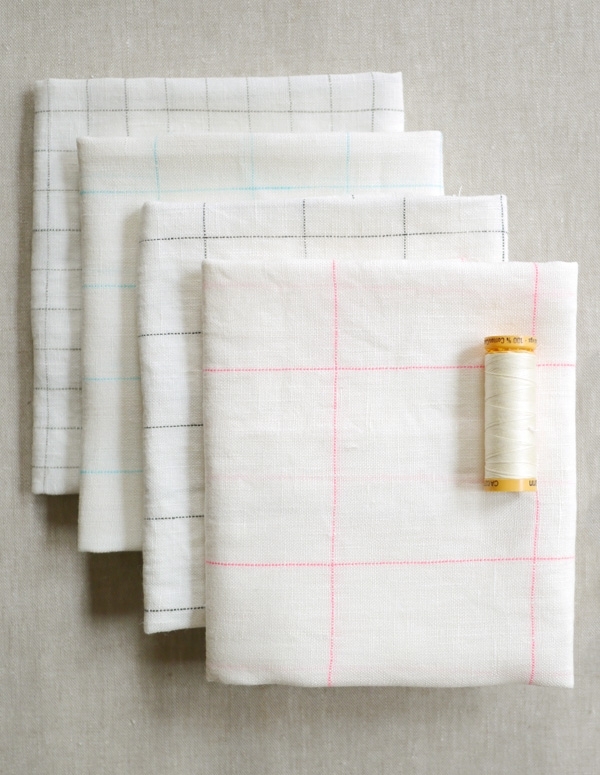 ½ yard Purl Soho’s Linen Grid, 100% machine-washable linen. 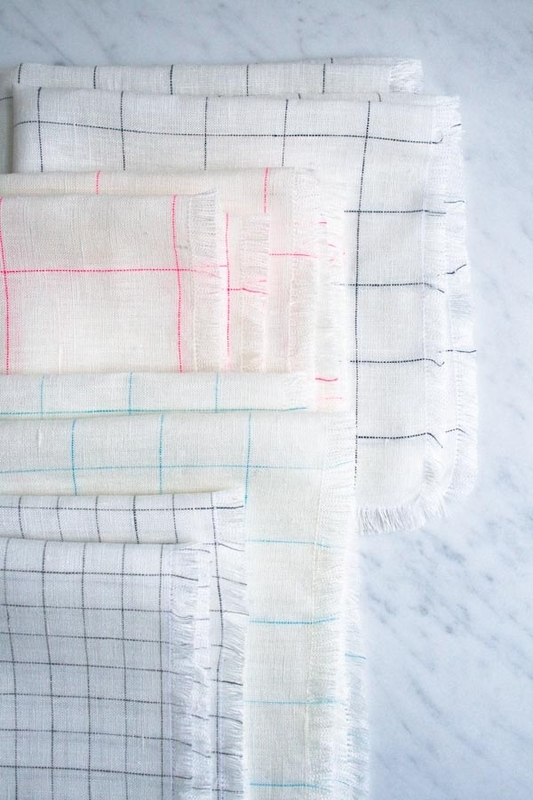 I used a ½ yard of each of Linen Grid’s four colorway for lovely set of twelve napkins! 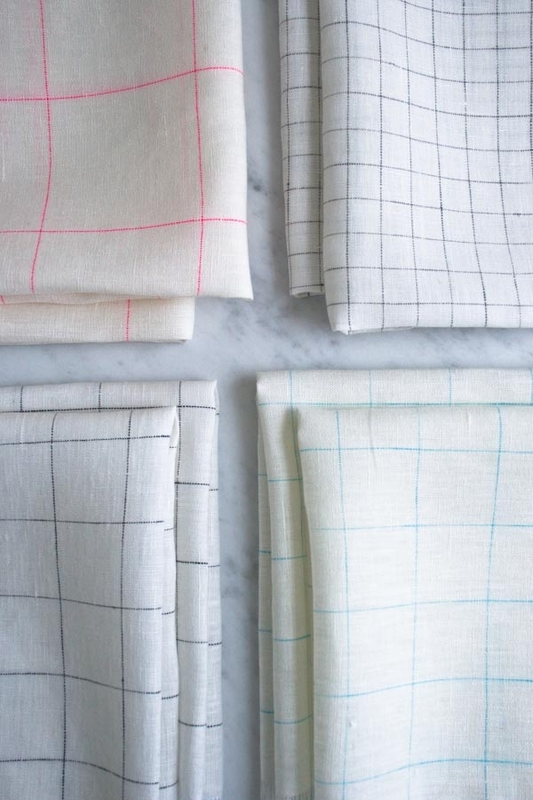 Please note: We have sold every last bit of our limited-release Linen Grid. 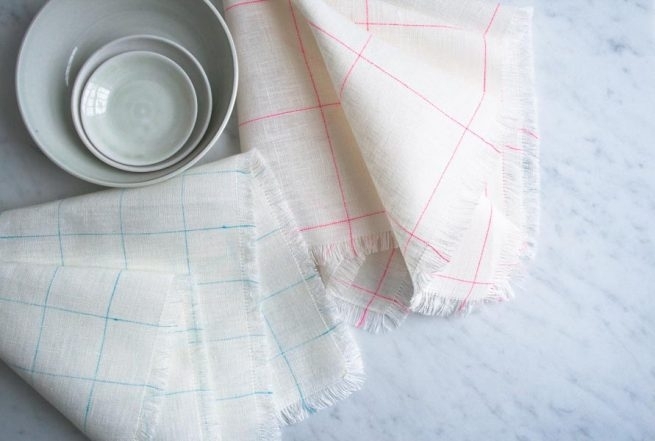 As substitutes, we encourage you try our Daily Linen, Handkerchief Linen or Watercolor Linen, all suitable in weight and in a stunning palette of colors! You’ll also need a pair of small, sharp scissors and a straight pin. 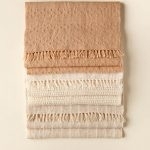 For the full pattern, including step-by-step photos and lots of tips, visit our original Fringed Chambray Napkins post! 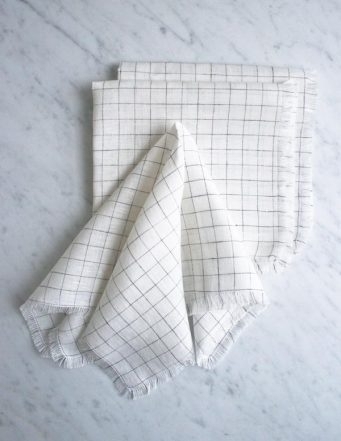 We made our Napkins with the grid pattern of the fabric centered on the squares. If you would like to do the same, take care to center the pattern when you make your cuts. 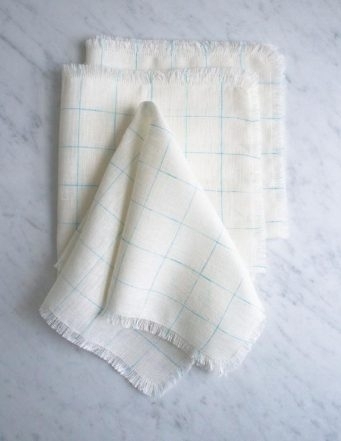 Is this fabric thick enough to make a dish towel? It looks like it might be too fine, but it is hard to tell from the photos. 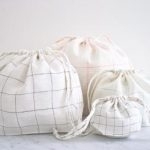 The fabric is light weight, but because it’s 100% linen it is still very absorbent, and a great material for dish towels! I am planning on making a set for myself too! 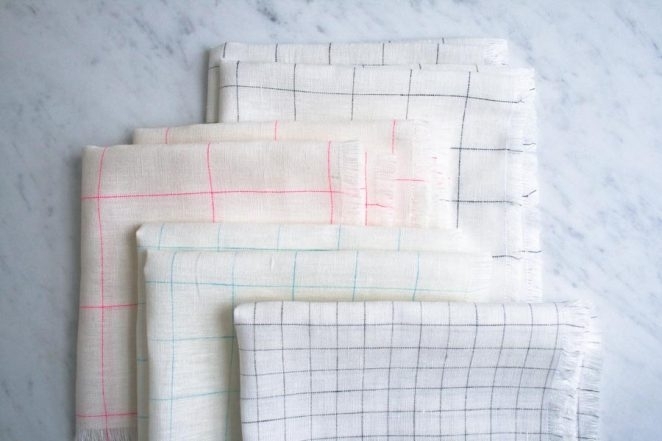 These napkins are so cute! 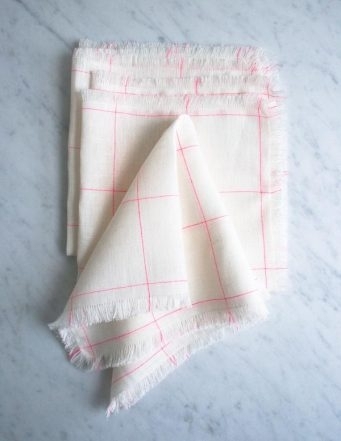 If I wanted to make matching placemats, would I need to double up the fabric to make them a little sturdier? Thanks! Great question! I think that you would probably also need some batting to make matching placements. 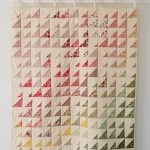 We do have a pattern for quilted placemats that could be a great place to start. Just replace the cotton duck with the linen and you should be good to go!